Shimano STEPS conducted a European e-bike study looking at people's willingness to commute to work by e-bike, with over 12,000 people across ten markets. The research found that 24% of European commuters would consider switching to an e-bike. Almost half the population of the Netherlands would commute to work by e-bike, this is the highest in Europe. While 39% of people in Spain and 33% in Italy would commute to work by e-bike. The main reasons for considering commuting by e-bike were to, keep fit (34%), to protect the environment (30%), and to save money (30%). However, people were also put off by the idea of commuting by e-bike because of, bad weather (37%), the cost of an e-bike (34%) and arriving to work sweaty (25%). 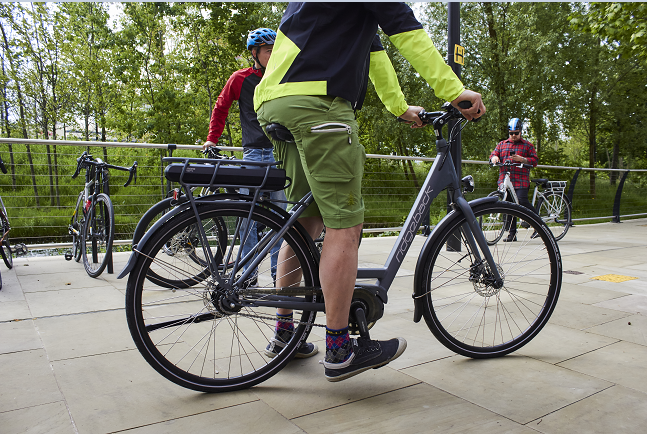 Interestingly, the research also found that people in the UK are the least likely to choose an e-bike to commute to work, with only 11% willing to consider the switch. The two largest reasons for resisting commuting by e-bike in the UK was bad weather (43%) and arriving to work sweaty (35%). Jeroen Van Vulpen, brand manager at Shimano STEPS is confident that with the already strong cycling culture within some countries, the huge growth in the e-bike market across Europe and the likelihood of widespread adoption of e-bikes to commute to work in the future, there is a huge potential for power-assisted bicycles.